We manufacture all types of wall connection ties for the block/brick work. Ranging from variable thickness to L-Type or Flat type we customize the material as per design requirement. They are also called wall ties, which are manufactured to meet the requirement of today's various pouring methods they are made of cold rolled steel.we continually prefer quality control testing to ensure that all of our ties yield a minimum pull strength. We offer Wall Ties to our clients. We bring forth vast industrial experience and expertise in this business, instrumental in offering Wall Tie. Available with us is a highly functional range of wall ties that find applications in concrete and timber frame construction work. Available in various shapes and sizes, these ties are considered an ideal support for multi-layered walls. Based on latest technology, our range is acknowledged for resistance to corrosion and low maintenance. Size (Inches): 12 In. X 4 In. X 2 In., 9 In. X 4 In. X 3 In., 9 In. X 3 In. X 2 In. 3mm thicknes Ms Wall ties. 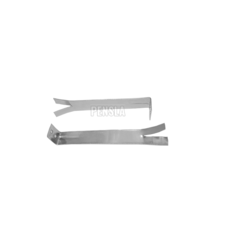 Our Company is offering a wide assortment of Aluminium Wall Ties. These products are highly demanded due to high strength.